Get our blog newsletter with all the recent updates! Will New European Data Protection Laws Kill AdTech? Whether at Dmexco or the IAB Forum, much of the tech industry’s recent focus has been on the European General Data Protection Regulation (GDPR), which goes into effect May 2018. While part of the concern is warranted, we do not see the GDPR and other new privacy laws as a setback. Rather, we welcome proper privacy regulations as an important and needed step to help people understand what is happening to their data. The additional benefit to users is greater control over their data. The evolution of privacy rules brought into focus by the GDPR is designed to protect the data of individuals. Harmonize data privacy laws across Europe. Equip EU citizens with better ways to protect the privacy of their data wherever and whenever it is processed. Reshape the way organizations approach data privacy. Ultimately, all businesses must now “walk the talk” and be able to demonstrate the accountability required by GDPR. This level of accountability means achieving a fundamental cultural and organizational shift in the way every organization views privacy compliance. Outbrain’s products for marketers and publishers are available worldwide. Since Outbrain is a guest on our publisher partners’ sites, these publishers seek the consent of their readers to allow tracking cookies (or similar technologies) used by our service. In addition, Outbrain provides full transparency and the ability to opt-out of our personalized recommendations. What else is Outbrain doing, now that the GDPR is the new standard for privacy compliance? Commitment to privacy is not new to Outbrain. We believe that privacy should be a part of everyone at Outbrain’s DNA. This is why we’ve partnered with The Privacy Compliance Hub, and launched our global Privacy Program. Our Privacy Program is fully documented on an internal website and centers around key promises that Outbrain agrees to comply with on a continuous basis. And, of course, our readers are also central to our privacy mission. In addition, we are engaged in multiple conversations across the industry to identify new best practices when it comes to telling our readers, who we are, what we do, and especially how we use the information that we collect about them. This includes launching a GDPR “think tank” group, which was our way of gathering security, compliance, and legal professionals from multiple tech organizations for ongoing conversations on how to implement the GDPR in practice. Our Privacy Program is largely centered around GDPR, but we are also closely monitoring the the proposed e-Privacy Regulation. Though e-Privacy has moved through a vote of the European Parliament, we believe that significant work lies ahead before member states align on the intended purpose, solution, and an understanding of all unintended consequences of proposed regulations. Regardless of the effective date, Outbrain offers an alternative version of its services for those publishers that are already planning to be e-Privacy compliant. 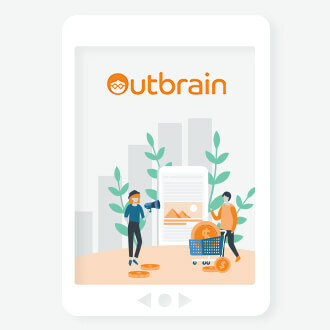 Since the day we started Outbrain, and in every opportunity since, our CEO and Co-Founder, Yaron Galai, has repeatedly said, “the currency of our market is not dollars, but rather, our currency is consumer trust.” Outbrain believes that discovery and user trust go hand-in-hand. This is why Outbrain and the industry must continue to build that trust through data privacy. Take your native advertising to the next level. Veronica Gonzalez is Vice President, Global Head of Business and Legal Affairs at Outbrain. She oversees Outbrain's commercial contracts with Outbrain's publisher network and content providers. Previously a law firm associate, Veronica is enjoying the fast-paced yet relaxed atmosphere of a growing technology company. Aside from time exploring restaurants across NYC, Veronica is an obsessive traveler dedicated to seeing every corner of the world. Veronica currently resides in New York, NY. * Your email address will not be published. All fields are required.